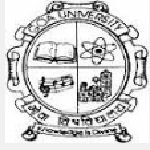 Goa University Programmer recruitment 2016-17 notification apply for 13 posts : Goa University welcomes application for the position of 13 Assistant librarian, Programmer, Junior programmer and teacher vacancies. Candidates who completed their Graduation, master degree, PG degree, degree, +2 class, 7th class is a good opportunity.The individuals who are the occupation seekers searching for govt employments in Goa this is the best chance to apply. Competitors read the official notification then read all the guidelines and miners precisely then apply before the last date online application got. All the interested and eligible candidates can appear walk- in – interview from 4th August 2016 to 11th August 2016. Academic Qualification Details: Candidates should have master degree in library science / information science / documentation with at – least 55% marks or its equivalent grade of B in the UGC seven points scale and consistently good record. Process of selection for the job: The selection of the candidates will be on the basis of walk – in – interview that will be held at Administration Block, Goa university. Academic Qualification Details: Candidatesshould have master degree in computer application / math / statistics / operational research / physics with electronics / economics / commerce with statistics of a recognized university or equivalent. Process of applying for the job: Candidates may appear walk – in – interview along with prescribed application form / original and attested photocopies of certificates and two passport size photograph at the time of interview. Important Dates: Date of interview is from 4th August 2016 to 11th August 2016 at 10.30 a.m.